Peaceful passion, and calm excitement. Horses that are willing, durable and versatile partners. The return to the Quarter Horse of 75 years ago. These are the goals of our breeding program here at Coldfire Ranch. We breed for what we need: Athletic, All-Around, Eager-To-Please, Easy horses. We are not top-rated trainers – we are every-day, regular folks who have a horse obsession. We strive to produce top-quality stock for the average horse-owner. We believe that if the Horse Industry is to thrive in today’s age, breeders should focus on producing user-friendly, uncomplicated horses that are rideable by the average horseman. We also believe that horses are happiest when allowed to live more naturally. We say let horses be horses! 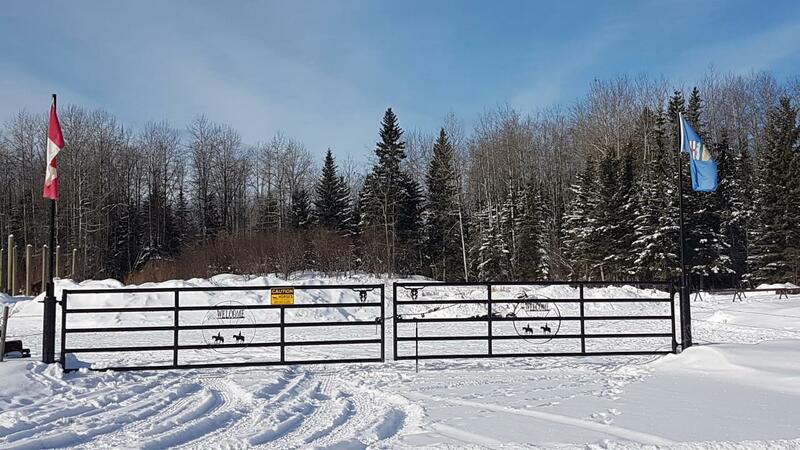 Our stock is allowed to roam our property through pastures and boreal forests for much of the year, having to be wary of predators (coyotes, bears, wolves and cougars), and savvy of their surroundings. This helps cultivate a horse who is self-confident, intelligent, and aware. Smoky Mohan was a farrier and mountain hunting guide for several years. He started horses, led pack strings in the mountains, and hosted hunters in many outdoor environments. Smoky developed an appreciation for horses with exceptional legs and feet, who were physically and mentally tough, could negotiate tricky terrain, and could take care of the hunters (who had often never been on a horse before). 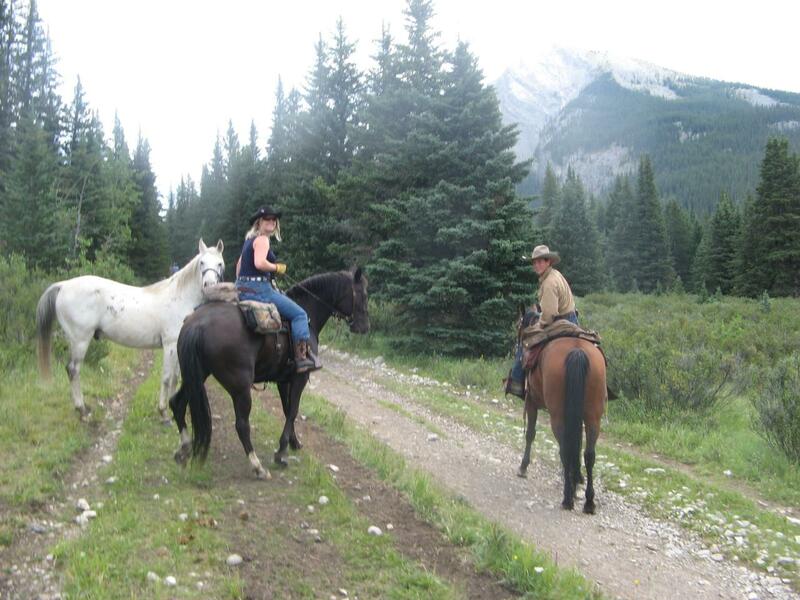 Erin Mohan came from a trail riding background, and was an active member of the Alberta Trail Riding Association for many years, going on mountain trips and attending horsemanship clinics. Like Smoky, she developed an appreciation for kind-hearted horses that thought before reacting. 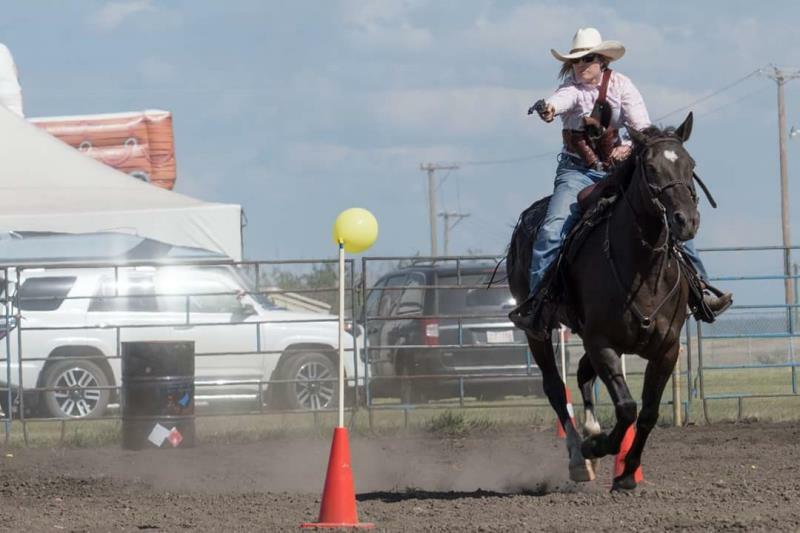 After seeing a demonstration of Cowboy Mounted Shooting, she was determined to try it. She fell in love with the sport, and her focus changed. So why Foundation Quarter Horses? The short answer is: because we tried them. Don't get us wrong, we have had some amazing grade horses. But grade horses are a bit of a jackpot - you never know what you are going to get. 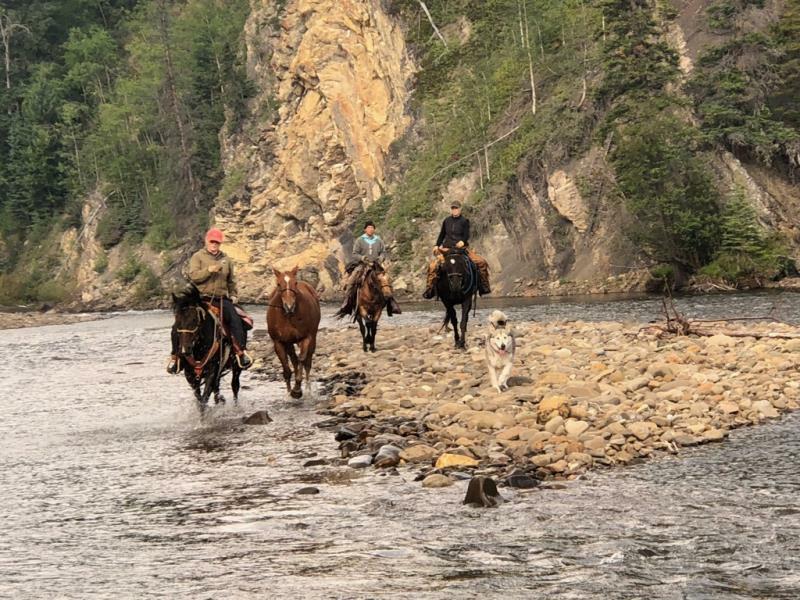 Papers and registration are a way to trace the bloodlines and history of a horse, determine consistent traits, and continue correcting and bettering a breed. Papers allow research to be done in order to breed carefully. Papers are the best way to reduce the surprise factor in a horse. 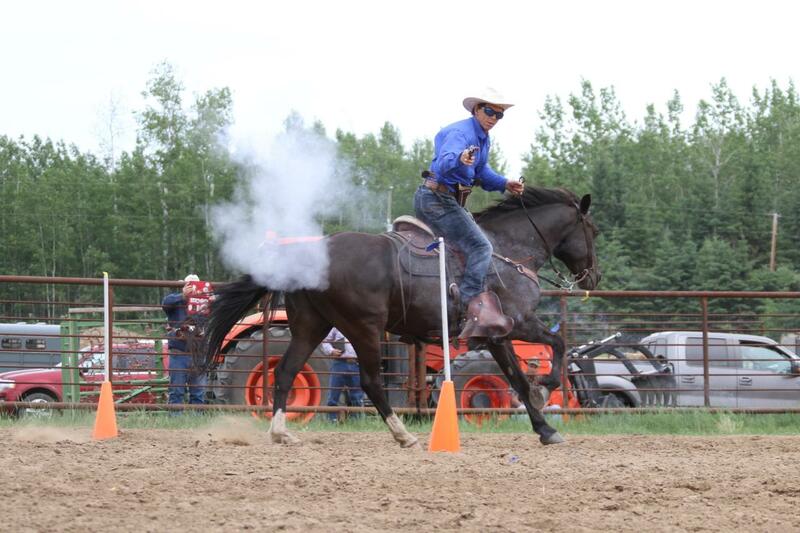 In Mounted Shooting, horses need to be a rare combination of "hot" and "cold" - possessing a love for running, yet being less reactive and able to tolerate smoke, sparks and loud noises. The combination of these two seemingly incompatible traits is what we aim for, because they are useful in almost anything you want to do with a horse. The Quarter Horse breed was carefully produced by hard-working folks who wanted horses that could work all day at the ranch, then turn around and win at a stock show. They needed to be able to sprint fast, turn sharp, and have deep "bottom" aka "heart". They needed to stay sound under considerable workload, and they needed to be trainable, with a mind for partnership with their riders. Finally, they had to be able to win those "beauty contests". The founding horses of the American Quarter Horse Registry were chosen with all those traits in mind, and we here at Coldfire Ranch strive to resurrect history - to keep the old historic traits alive in today's AQHA breed. Copyright © 2019 Coldfire Ranch – by Dreamweaver Webs Ltd.